The side hustle is very dear to my heart. For as long as I can remember, we have always hustled and had many things going on. It’s a family tradition to either own a business or have a side hustle. In fact, the side hustle/business is the biggest contributor to my financial independence. In my teens, the side hustle was not just a good idea, but rather a necessity for survival as immigrants. Whilst my mum and dad had their day “jobs”, they also had night time and weekend businesses wholesaling food etc. One of my earlier memories was a business we set up supplying specialist agency staff to a medical centre my dad worked at. It was possibly the easiest side hustle I had ever come across in my late teens. My specific role was to invoice, chase and bring the money in. We’d send staff off to work at say, £10 an hour and charge the company, say, £30 per hour. With a few people working at the same time, I couldn’t believe how easy this business was to run. Every hour that passed, we were making some income. Through the years, we’ve run everything from a magazine business to a nursery business and even a property investing business. We’ve even hosted an entire show at The Excel in London. Whilst some of these have been a success, others have failed pretty badly. On reflection, what I have observed about side hustles is that succeeding at them has everything to do with having a goal or purpose attached to them. So for the earlier examples above, we needed to get by, and that meant we had to do everything possible for those to be a success. For the ones that failed, they were started at a time when we had found a path and we started them as lifestyle businesses, with no real fire behind them. 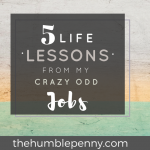 Thinking about this from our day to day, side hustles can be daunting to some. For others, it’s a question of simply having no idea where to start. My theory is that once you have started your first side hustle, successful or not, you’re more likely to venture out and try something else. The biggest motivator I find is attaching a side hustle to something tangible like an expense you incur on an ongoing basis. By doing this, you have found a defined purpose, which is a necessary ingredient for any idea to flourish. The other reason this is very important is that it helps you break down a side hustle into something bite size. Not all side hustles have to generate many thousands of pounds per month. This is part of why many get put off because they overthink it and expect too much to happen. And have it coming as consistently as possible. This is the same thinking that is applied to the Debt Snowball method of getting rid of your debt. You pick a small debt balance you have, and you focus all your resources on getting rid of it. Then you focus all your energy on the next debt you might have. In the same way, you can apply the same thinking to why you venture into creating a side hustle. A good example of this in my life is the education of our two boys. We have a goal of paying to educate our sons through primary school as the state schools near us aren’t quite doing it for us. One option we had was to say – It’s too much money, and it would be too difficult to achieve this without rocking the family finances. Another option was to ask my favourite question – What do we have in our hands? It helped that we had started a childcare business a few years ago. My ongoing involvement is minimal these days, but I maintain some equity in the business. What was a side hustle many years ago, now plays a significant role in educating our kids and giving them a wonderful start for the future. 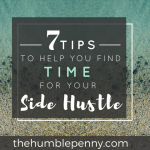 This is the other aspect of a side hustle that is often overlooked. It represents a seed that is planted today, but with significant future potential if you continue to nurture and grow it. Another good example is our goal to become mortgage free in the next 5 years or less without touching other investments. This is a challenging goal that requires significant diligence to keeping costs low as a family whilst maximising income. A big part of making that goal a reality is to ensure that net income from investments we ventured into a few years ago continue to be steady and feed our mortgage overpayments. You might be reading all this and thinking – Sounds great… it seems to be working for him… What about me? Well, I am glad you asked! You see, a big part of what I have learned in life is that nothing ventured results in nothing gained. However, to venture, you have to make it entirely unique to your life situation and goals. This is what I talk about in the secret sauce for winning. Running this race is not about anyone else. This is so important that I feel like repeating it twice! In fact, forget what anyone else thinks or says. The journey of achievement – You’re in it to make stuff happen. To see results and change your life outcome. 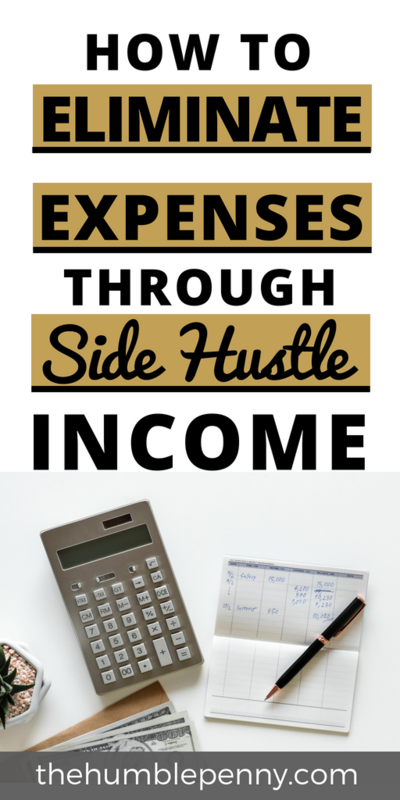 This journey of eliminating expenses through side hustles begins with a thorough expense audit. If you’re a thorough budgeter, you should already know your expenses inside out and should know the exact balance on your credit card (if any) etc. If you’re fairly new to this, then read How To Create A Budget That Works For You. The purpose of your expense audit is to separate essential spend from non-essential spend. Driving an expensive car you’re funding through financing is not an essential spend. Your home mortgage, on the other hand, is an essential spend. Once you’ve categorised essential vs non-essential spend, then I’d start by picking a small but reasonable essential spend as something you’d like to eliminate through a side hustle. What I really like about this process is that it is akin to performing an experiment. The key activity is that you’re doing stuff to prove the desired outcome. Doing the above exercise to separate your expenses is also another opportunity to review non-essential spend that you have. You either cancel them or tweak your lifestyle accordingly. Savings from this decision alone can go some way towards supporting your identified essential expenses. Before deciding on what type of side hustle you need to support the essential expense you chose above, you first need to execute a trade! One of the biggest issues with setting goals is that people often miss a very important step. They never ask the important question – What am I prepared to give in order to achieve my goal? To start a side hustle, there is a real trade-off in resources that happens. You need to give up time and/or money. I find it helpful to write down on a notepad what resources you have in order to pursue your side hustle. This could be as simple as writing down such things as ‘1 hour per day’ or even ‘£300’. 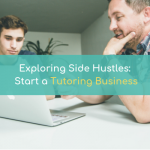 This exercise is important as you need to be able to match your resources to the universe of possible side hustles and choose the one that best fits. A good example of this is my choice of starting a blog. It suits me perfectly given my limited resource of time. There are thousands of viable ideas that you can explore. The exact side hustle you explore in itself doesn’t matter so much initially. The point of getting stuck in is to turn on the switch of enterprise in your mind. This is an important step as you should be prepared to fail, but also be prepared to learn from that failure. 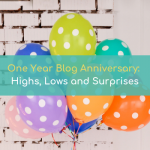 I usually have to remind people that I knew nothing about blogging when I decided to dive into it. Today, I can teach every aspect of it with my eyes closed. I distribute that knowledge through this blog and FREE email courses such as my Practical Money and Blogging courses. Soon, that knowledge will be distributed through premium video content on Teachable and even through books, ebooks, YouTube etc. This is because people learn and consume content in different ways. Note that the actual idea of blogging itself didn’t matter. What was important was that I believed in my ability seek out ways of distributing what I know or what I can get others to contribute. The key is to believe and start something. Anything!! Ask yourself – What do I have in my hands? To conclude, starting a side hustle doesn’t have to be daunting. It doesn’t even have to be a big idea. Think bite-size and dive in. The more you tackle these bite-size chunks, the more fearless you become. And the more fearless you become, the more individual you’re in your pursuit of designing a life that works for you! 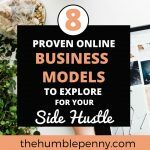 Do you want to start a side hustle? 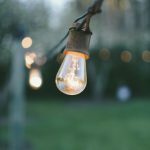 Why is it important for you to start one? Please comment below. I love this post! It is a great mindset to have. For me this is an extension of the save before you buy mentality but longer term projects. Get the money rolling in then commit. Thank you! Thank you for stopping by! You make a great point.